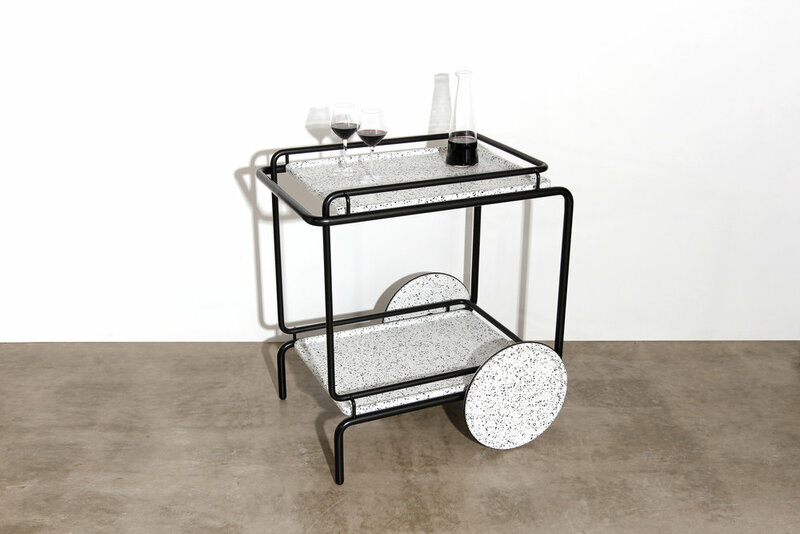 The apres cart is an architecturally inspired, contemporary take on the traditional drinks trolley. Shape and line relations were explored to design a piece with flowing form that is both sculptural and structural. 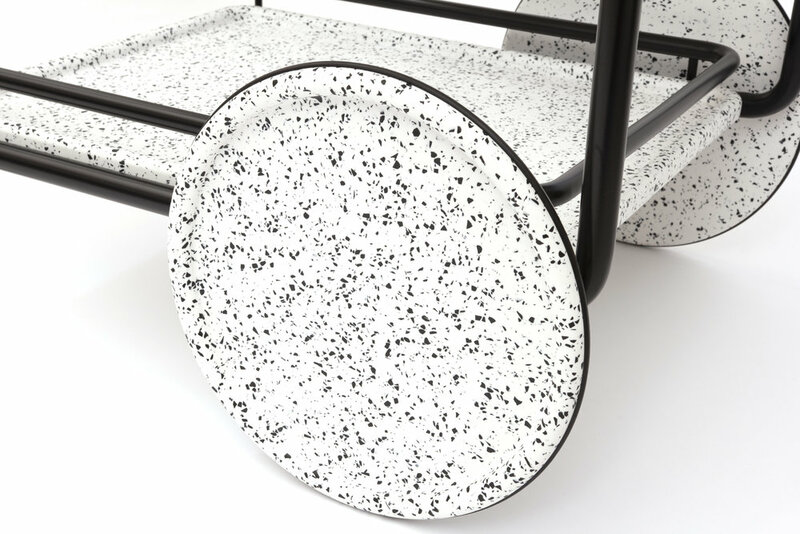 The frame is constructed from steel tube which consists of two main bodies that interweave and suspend from one another. 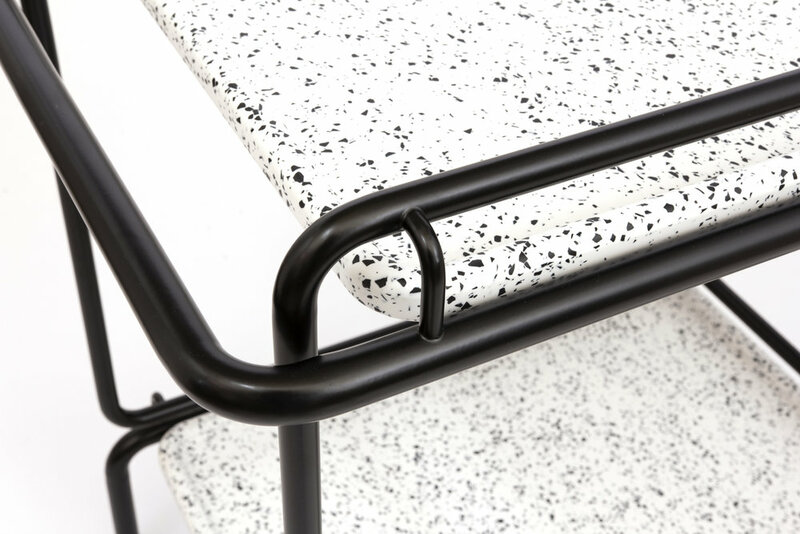 The cart trays and wheels are made from CNC routed Marblo, giving the solid surface a 3-dimensional form. 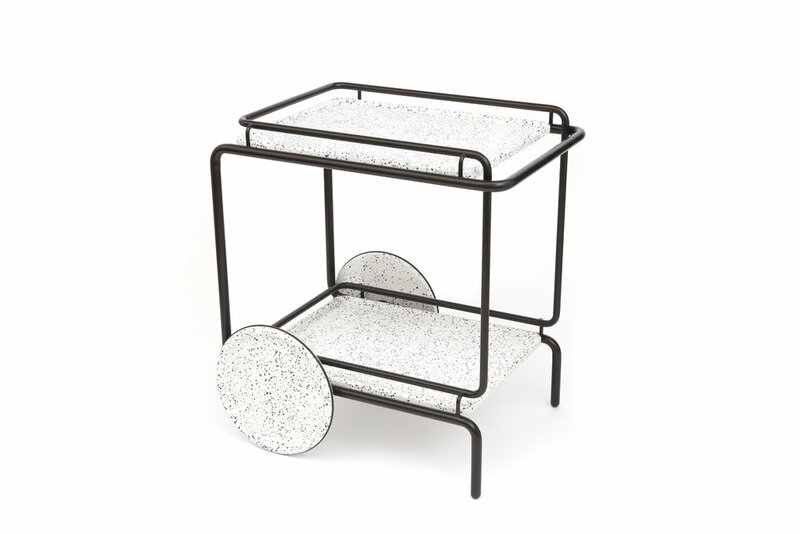 The apres cart is suited to both commercial and residential environments, for indoor and outdoor use.